So yesterday, I went to work. It was like any other work day in Chicago, except that yesterday was bitterly cold. I didn’t park where I usually park. Strike one, because I had a thought that I should just park in the employee parking lot as usual. But it was so FAR. And it was also so COLD. Did I mention how cold it was? Anyway, I parked on the street and something told me as I got out of my car to make SURE I locked the doors. So I did, I made sure that I locked my doors and went along my merry way, believing I had taken the care I needed to. Strike 2. Did I mention that the office is in an industrial area, and the street I parked on is not that busy, generally? Strike 3. Cut to hours later. I’m leaving the office and as I approach my car I think, “Wow, that’s weird. My door is open”. You’d think seeing my car door open would be a clue something wasn’t right. But no, being the naive person I tend to be, I just thought maybe I hadn’t closed it right getting out of the car. I open my door the rest of the way and WTF!!! 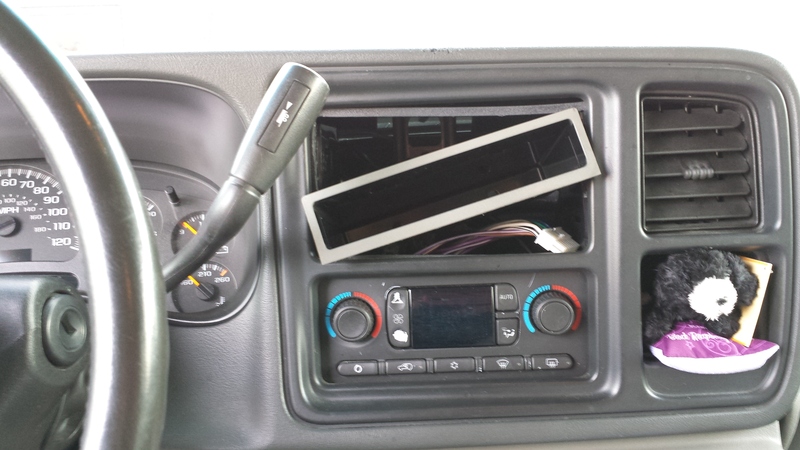 My radio is gone! Gone, gone….GONE. Nothing but a hole and wires. My immediate reaction was no reaction. Just shock. After a minute of standing there in shock I started to get irritated. Who would someone steal something that didn’t belong to them, from someone they don’t know?! You don’t know my struggles. I am a mother of 5 kids! I have food to buy, clothes to buy, shoes…school fees, BILLS BILLS BILLS. Then I wondered why? Why on EARTH of all the weeks and all the cars on the street and all the days and all the times (I mean, CHRISTMAS IS COMING!!!) would you break into someone’s car and steal a radio. Note: also stolen was a bag with paperwork for my job, and 2 bags of shoes I had planned to give to charity. I imagine, somewhere in Chicago, a thief is currently trying to get rid of little girl’s shoes, size 2. Red and sparkly. That was just one of many pairs of little girls shoes in those bags. But, I digress. I am still mildly irritated at the loss of my radio. I mean, how am I supposed to maintain sanity driving in rush hour traffic to and from work in CHICAGO without my radio?! However, I have decided not to make a big fuss about it. To understand that this happened for a reason. What lessons can I learn from this thief? Lesson 1: Follow your instincts. Yes it has been said time and time again and yes, I am sure we ALL know we should be following our instincts. However, if I had followed mine, I believe my radio and I would not be dearly departed. Lesson 2: Don’t get too comfy. I can definitely say that I got a little too comfy…parking on the street is generally a safe thing to do but NOT WHEN YOU WORK IN AN INDUSTRIAL AREA and definitely NOT IN CHICAGO. Always remember where you are, and keep that at the forefront of your mind when you are making choices. Lesson 3: Speaking of choices, this is a prime example of how our choices can affect our lives for the good or the bad. I made the choice to park on the street. I was robbed. Seems like going back to kindergarten here, but I guess that’s life. We have to go back to kindergarten to be reminded of the simple lessons. Hope now I can move on to Grade 1.